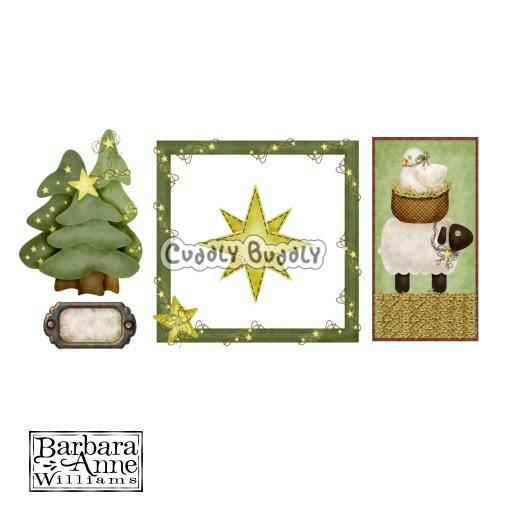 Starry Night by Barbara Anne Williams Includes a cluster of star embellished trees, a country-style star with stitching, a rustic tag, a starry frame and a nostalgic image with a sheep and dove. These images are perfect for cards, tags, and any holiday project! This full color collection features transparent backgrounds making it easy to use in all of your projects!